This little shop isn’t much to look at, and most days half-empty shelves greet you upon entering. But show up midday on a Saturday and it’s a whole different story. Thai home cooks package noodle dishes, salads, soups, snacks, and desserts, and bring them here to sell. You’ll find spicy rice crisps, piquant noodle salads, soups rich with coconut milk, sweet puddings, and cakes. 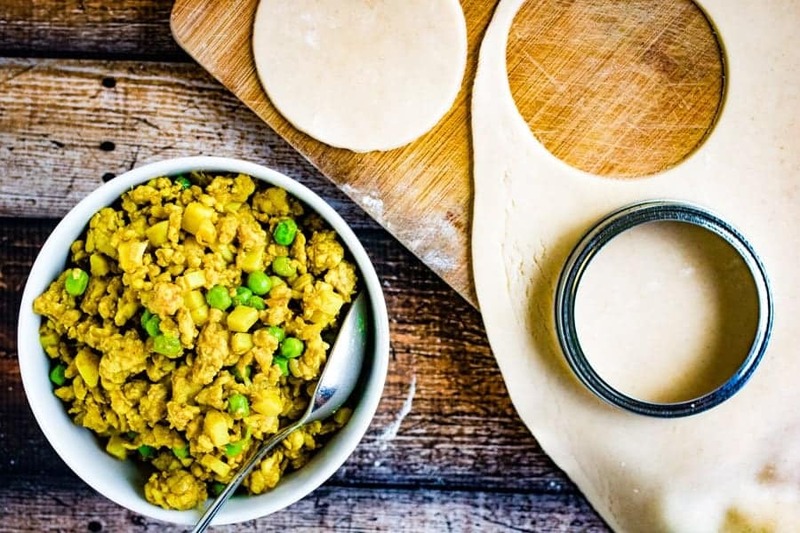 I always make sure to throw a few of my favorite curry puffs in the mix. I’ll admit, my Thai curry puffs aren’t totally authentic. I’m a bit too lazy to make the dough from scratch or spend an afternoon deep frying. Instead, I use short pastry or Dufour puff pastry and oven bake—or, even better, air fry! 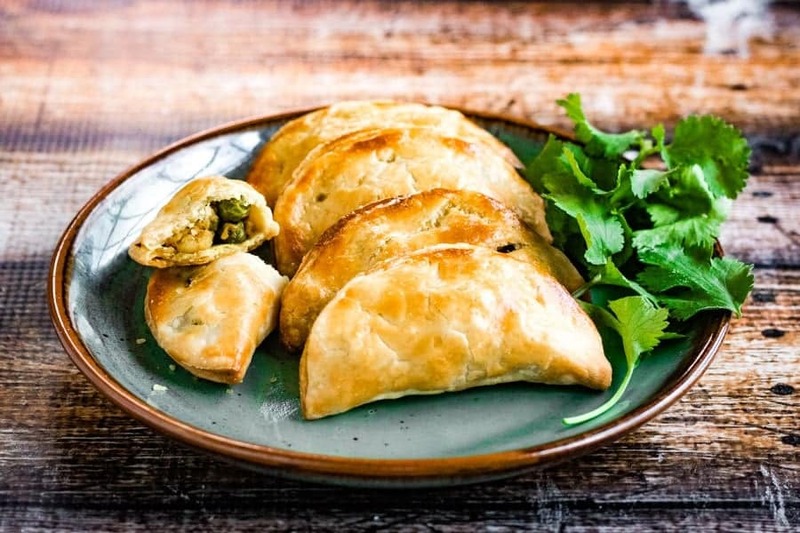 Fill your Thai curry puffs with any combination of meat and/or vegetables you like. I filled mine with ground chicken, potatoes, and peas cooked with onions, garlic, and spices. Although I use store-bought dough and bake them, my Thai curry puffs taste just like those I ate in Thailand. 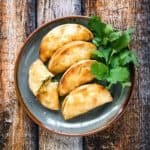 This Thai Curry Puffs Recipe Is So Easy! 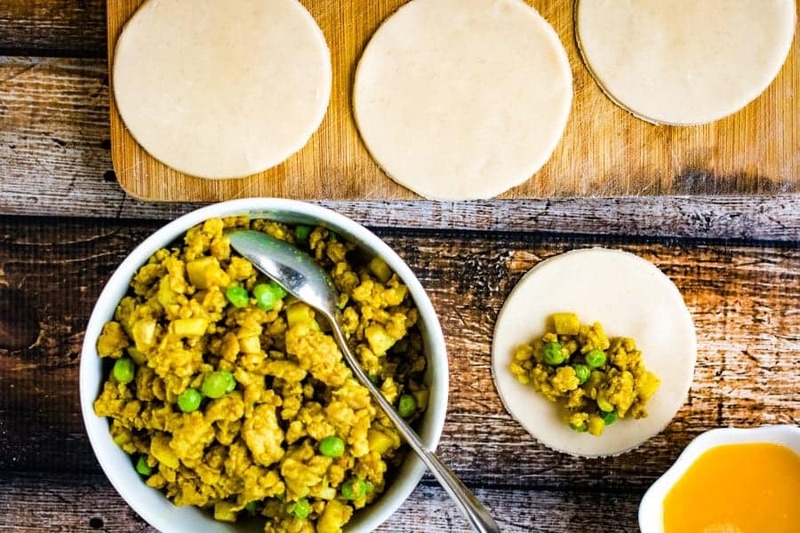 This curry puff recipe is so easy, you really should drop everything and make it right now. But you probably shouldn’t listen to me. After all, I think it’s reasonable to pay $900 and fly 36 hours (round trip) just to snack my way through Bangkok.